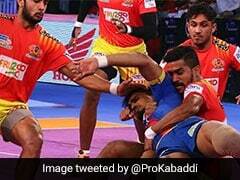 A solid all-round performance by rampant Gujarat Fortunegiants saw them reach the final of Pro Kabaddi Season 5 hammering Bengal Warriors 42-17. 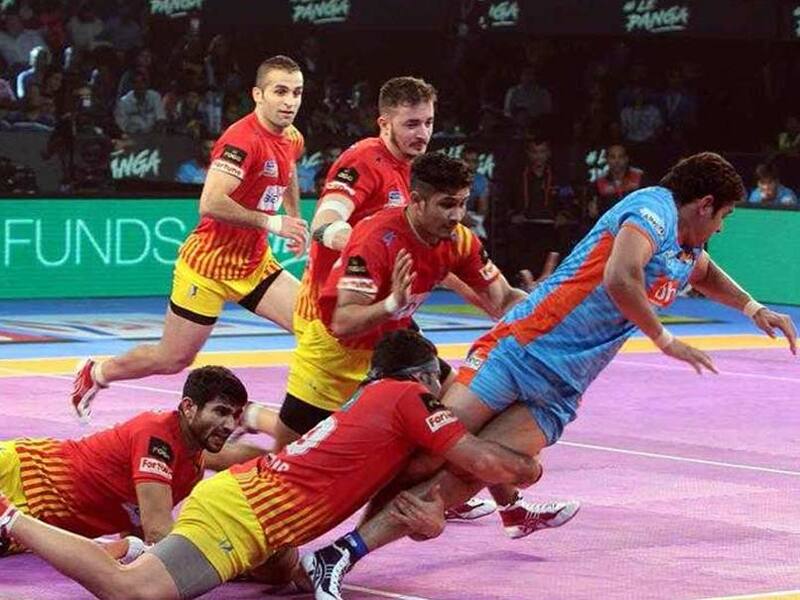 A solid all-round performance by rampant Gujarat Fortunegiants saw them reach the final of Pro Kabaddi Season 5 hammering Bengal Warriors 42-17. Almost everyone chipped in with vital contributions as Gujarat were relentless in their pursuit of a place in the summit clash. Sachin led the raiding charts with 9 points and was ably supported by Mahendra Rajput who scored eight points. In defence, Abozar Mighani and Parvesh Bainswal scored four points apiece. It was a disappointing night for Bengal Warriors as they produced a terrible display in the second half and could score just seven points. Both Maninder Singh and Jang Kun Lee couldn't deliver when it mattered the most and scored just one point each. Gujarat scored two raid points in the first two minutes to lead 2-0. Deepak Narwal opened Bengal Warriors' account in the third minute with a raid point. Gujarat raiders got a couple of easy points as they led 6-3 after six minutes. Jang Kun Lee scored his first raid point in the 7th minute as Bengal Warriors trailed 4-6. Mahendra Rajput was in fine raiding form for Gujarat and scored bulk of the points in the first 10 minutes to give his team 9-6 lead. Bengal Warriors forced a super tackle in the 15th minute as they trailed 9-11. Rajput scored with another raid in the 18th minute as Gujarat Fortunegiants led 13-10 at the end of the first half. Gujarat Fortunegiants began the second half in storming fashion and inflicted an all out in the 22nd minute to lead 19-10. In the first six minutes of the second half, Gujarat scored nine points without any reply from Warriors as they led 22-10 after 26 minutes. Bengal Warriors forced a super tackle in the 27th minute to get their first points of the second half.